Uber on Friday apologised to its 156,000 users in Brazil, whose personal information was leaked in a major data breach in 2016. In an email to the users, the ride-sharing company admitted that their names, emails and cellphone numbers had been seized by hackers in the incident, Xinhua news agency reported. However, it added that the specialists hired to investigate the data breach had found no evidence that records of journeys, credit card numbers, bank accounts or birth dates had been seized. It also said it had not found any fraud or illicit use of the data. Uber was accused of having paid the hackers to hide the lapse for over a year. The company paid hackers $100,000 to destroy the stolen data of 57 million users worldwide. 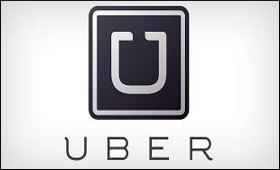 The Brazilian users were notified only after an agreement was signed between Uber and the Brazilian Attorney-General's personal data protection office.